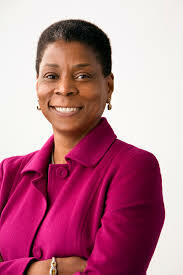 /UCW/ – Ursula M. Burns serves as Chairwoman (since May 2010) of Xerox and was the CEO of the company from July 2009 to December 2016. As such, she was the first black-American woman CEO to head a Fortune 500 company. She is also the first woman to succeed another woman as head of a Fortune 500 company, having succeeded Anne Mulcahy as CEO of Xerox. In 2014, Forbes rated her the 22nd most powerful woman in the world. In 1980, Burns first worked for Xerox as a summer intern, permanently joining a year later, in 1981, after completing her master’s degree. She worked in various roles in product development and planning in the remainder of the 1980s throughout her 20s. In January 1990, her career took an unexpected turn when Wayland Hicks, then a senior executive, offered Burns a job as his executive assistant. She accepted and worked for him for roughly nine months when she was ready to go back home because she was about to be married to Lloyd Bean. In June 1991, she became executive assistant to then chairman and chief executive Paul Allaire. In 1999, she was named vice president for global manufacturing. In May 2000, Burns was named senior vice president of corporate strategic services and began working closely with soon to be CEO Anne Mulcahy, in what both women have described as a true partnership. Two years later, Burns became president of business group operations. Then in 2007, Burns assumed the role of president of Xerox. In July 2009, she was named CEO, succeeding Mulcahy, who remained as chairman until May 2010. In addition to the Xerox board, she is a board director of the American Express Corporation, Exxon Mobil Corporation and Datto Inc. Burns also provides leadership counsel to community, educational and non-profit organizations including FIRST (For Inspiration and Recognition of Science and Technology), National Academy Foundation, MIT, and the U.S. Olympic Committee, among others. She is a founding board director of Change the Equation, which focuses on improving the U.S.’s education system in science, technology, engineering and math (STEM). U.S. President Barack Obama appointed Burns to help lead the White House National program on STEM and in 2009 and in March 2010 appointed Burns as vice chair of the President’s Export Council.